Okay everyone; I have some interesting news for you all. You want to have your books on the shelf in bricks and mortar stores. Well, Dressing Your Book is working on a way to make that happen for you. The one thing it would require is that all books be published through Dressing Your Book and printed through Lightening Source. This is not a big deal in any case. The more authors and books I can get the cheaper it will be for all of you to avail yourself of this new and creative service Dressing Your Book will be offering by the first of the year. There will be an annual fee for me to advertise your books through Ingram distributions catalog so that your books will be in bricks and mortar stores. Something totally new for independent authors. I am trying to take you all to a place you have never been before. Please drop me an e-mail at dressignyourbook@comcastnet to let me know if you are interested in joining this great new adventure. You can also post a comment on here as well and I will get them all and get you all ready for a great new year. Tyler Trent and Zack Vander once again visit the disappearing bookstore and go on another adventure from The Book of Mysteries, this time battling the terrifying Gargoyles of Blackthorne. Their quest is to retrieve the golden sceptor of Good King Elveron that keeps the country of Gothica safe and thriving, now stolen by his stepmother, the evil former queen. She has bewitched the gargoyles that guard her castle and the beasts come alive and menace the people of Gothica every night. 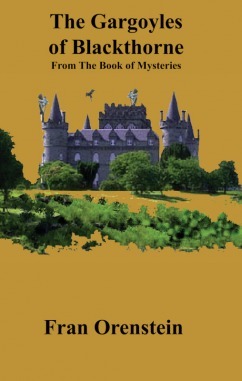 With the help of identical twin Goth princesses, Lily and Ivy and their cousin, Sir Valor, the boys must enter Blackthorne Castle, home of the wicked queen where the sceptor is kept under the watchful eye of the gargoyles. Fran Orenstein, Ed.D., published author and poet, also edits both poetry and prose. She wrote her first poem at age eight and has written and published academically and professionally since then. This included working as a magazine editor and writer, writing political speeches and material for state government and newsletters for various organizations. Her credits include four previously published ‘tween novels and a book of children’s poetry. 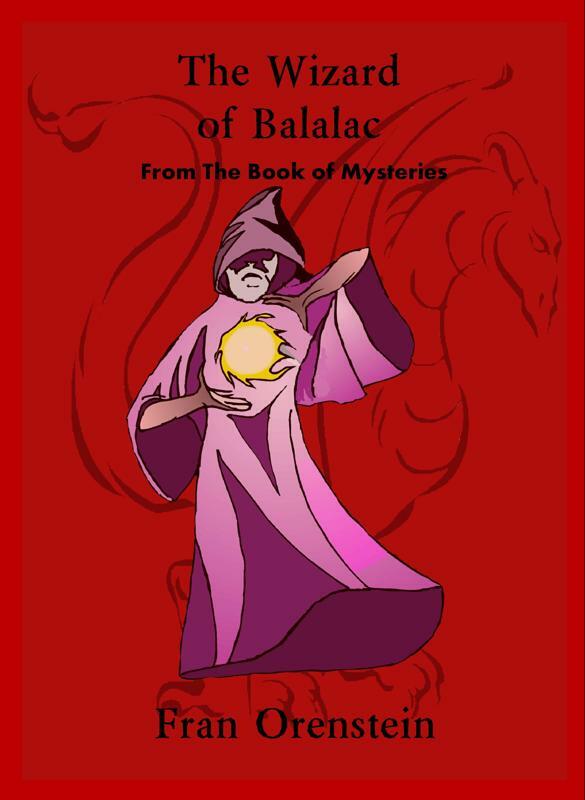 The second edition of The Wizard of Balalac from The Book of Mysteries is on sale at http://www.sleepytownpress.com. The second book in the series, The Gargoyles of Blackthorne was just released from Sleepytown Press. In October 2010 watch for the release of The Spice Merchant’s Daughter, a teen historical romance novel set in France during the reign of King Louis XIV, in Ebook format. And…there are more books as yet unpublished. Dr. Orenstein recently finished an adult anthology of mystery, ghost, and vampire short stories and just completed an adult novel of human frailty and redemption, with bursts of poetic creativity in between. She is planning book three in The Book of Mysteries Series, The Griffons of Spyr. Check her website at http://www.franorenstein.weebly.com and http://www.myspace.com/franorenstein. When 12 year-old Tyler Trent is sent by his Uncle Tad to a disappearing bookstore in New York City to find the Book of Mysteries, he and his best friend, Zack Vander, have no idea that they will enter into an exciting and dangerous adventure in the strange land of Balara. The two boys, with the help of a two Balaran girls, a dragon-slayer giant, and a yellow polka dot dog, must battle a wizard and a fire-breathing dragon to resolve the mystery of the Wizard of Balalac. Fran Orenstein, Ed.D., published author and poet, also edits both poetry and prose. She wrote her first poem at age eight and has written and published academically and professionally since then. This included working as a magazine editor and writer, writing political speeches and material for state government and newsletters for various organizations. Her credits include four previously published ‘tween novels and a book of children’s poetry. The second edition of The Wizard of Balalac from The Book of Mysteries is on sale at http://www.sleepytownpress.com. Watch for the debut of book two in this series, The Gargoyles of Blackthorne coming soon from Sleepytown Press. 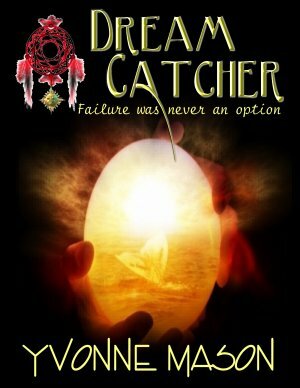 A teen historical romance novel will arrive in October from Whiskey Creek Press in Ebook format. And…there are more books as yet unpublished. Dr. Orenstein just finished an adult anthology of mystery, ghost, and vampire short stories. Currently she is writing an adult novel of human frailty and redemption, with bursts of poetic creativity in between, and is planning book three in The Book of Mysteries Series, The Griffons of Spyr. Check her website at http://www.franorenstein.weebly.com and http://www.myspace.com/franorenstein. Someone had posted pictures of Bertha in the girl’s bathroom changing into her gym uniform on Facebook, My Space and YouTube. Other pictures showed her throwing spitballs and wads of toilet paper all over the walls and floor of the girl’s bathroom. On the door someone had written “Bertha Rules.” Not a very nice thing to do to a 13 year old who has always been overweight, not very good in sports nor dancing and has definitely never been very popular with kids her own age. But she is smart and always makes her parents proud with her grades. In Bertha Fights Back, Bertha decides to find out who put these pictures out there in cyberspace and to get her revenge. No more nice girl Bertha. But revenge doesn’t come without a price. Bertha decides to join a gang but finds out that being a gang member gets her into more trouble than she expected and trouble comes with a price. In Bertha’s case, community service. When the school band room is broken into, Bertha is called upon by her principal to do a little detective work. She and a group of other students start looking into the destruction and theft of the musical instruments. Along the way the group encounters students who are upset about foreign students attending their school to the point of not only writing graffiti on the walls but also physically harm some of the students. Bertha Fights Back brings to life what all young people need to be taught. One of the lessons Bertha learns through her experiences is that being a gang member is not the answer. She also learns that being a Bully is not the answer. I thoroughly enjoyed reading as Bertha grew up and took on the responsibility for the things she did whether they were right or wrong. To me, this is a good book for both young people as well as adults to read. “This is a true story written by a prolific author, about her own younger brother who suffered Encephalitis when he was not more than a newborn. It entails his strength of personality and will to overcome an illness which left him with a so-called, mental handicap as well as physical. Shifting in and out of reality, this inspirational story follows 12-year old John Greber, who with his mother, Ellie, suffer abuse at the hands of John’s father, whom he calls “The Beast.” The Beast abandons his family and kidnaps John’s six-year old sister, Marny. John vows revenge as he seeks to confront his father and rescue his sister. Jeffrey B. Allen takes us on a fantastic journey into a Land where John and his mother become embroiled in a Civil War that could destroy the Land and the World, so John must tread carefully. This coming-of-age novel travels a totally different path than expected. With both poignancy and adventure, it proves that the strength of the human spirit can overcome all odds. Born: New Bedford, Massachusetts, 1953. Jeffrey B. Allen graduated High School from Central Bucks East in Doylestown, Pennsylvania. It was 1972. Allen graduated from Millersville State University in architectural design and taught for two years while also working toward his Masters Degree at Temple University in Philadelphia. After a brief teaching career, he created his own architectural woodworking firm in 1981. In 1996 Allen received his fifty-ton US Coastguard captain’s license and followed that with extensive sailing adventures and chartered voyages. In 2006 Allen received the Holt Businessman-of-the-Year award. In 2007 Allen sold his architectural woodworking business and soon after published his first Novel, GoneAway Into the Land. He writes as the Interior Design Specialist for the Lehigh Valley Examiner and contributes articles as an expert author for publication through Ezine Articles and other internet sites. Allen is currently working with a new publisher and expects his second novel, Beneath the Quarry Waters, to be published in early 2010. Today, Jeffrey Allen resides in Bethlehem, Pennsylvania where he consults in the field of interior space planning, although most of his time is devoted to writing. #23 in Kindle Store > Kindle Books > Fiction > Genre Fiction > Graphic Novels & Manga > Graphic Novels > Mystery Would you like to give feedback on images? There is no such thing as a child who cannot learn. There is no reason why anyone should be shunned or considered an outcast because he or she is challenged academically or in any other way. But, for a child to succeed he or she needs the support, guidance and love of a family. In this story you will meet a remarkable and unique family who not only proved the unimaginable and the unthinkable about a special young man, but engaged the help and love of friends too. 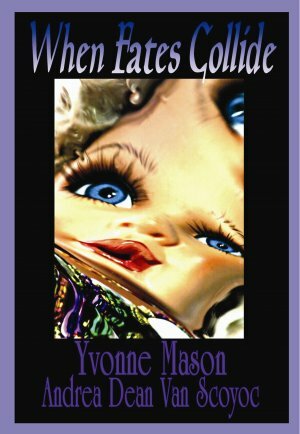 Born with a serious illness, Yvonne Mason’s brother Stan proved beyond a shadow of doubt that he was going to show the world that he is here and that he will definitely succeed. Not able to speak, not able to walk, and not able to do the things that other kids could do at first, he taught himself how to maneuver and crawl when faced with a challenge before the age of one. Born with 2 clubfeet and faced with wearing heavy plaster casts on his feet, Stan, Yvonne’s brother learned to overcome this and managed to move around. But, that is not all, with the help of his brother Barry, sister Yvonne and lots of friends and cousins he managed to learn to walk, take care of his own physical needs, attend school, graduate High School, help play practical jokes with his sister and cousins, take a bus to his Work Training Program and much more. But, what he had to learn after all of this is not much different from what we had to learn: Lessons of Life and Lessons of bigotry and prejudice not only toward people of different color or races but toward people who are different. Stan learned that not everyone is who he or she appears to be. Stan soon learns people can be cruel and underhanded. People take advantage of you when they think you are less knowledgeable than them. This holds for everyone, not just Stan. His love of bowling, the first time he went to an Atlanta Braves game and his courage to forge ahead against all adversity makes you wonder why young people today give up so fast and try and take the easy way out. Stan is truly a person to be admired. Nominated for the Toby Nobis award, which recognizes business, and employees who are challenged helped to give him a sense of pride but to his family too. Although he did not win this did not deter him. This was a man who was not supposed to be able “to do the simple things in life. How amazing the brain works,” as the author puts aptly puts it. Where others would whine and complain when Stan was faced with a problem he would handle it head on. Flying by himself, dealing with a broken television set and adversity at work, he is truly an inspiration for all those who take defeat so easily and readily. Imagine trying to explain to someone the difference between 9-pin bowling and the regular method. As a bowler I do know the difference and when Yvonne describes the incident where Stan was trying to explain why he and his knew friend Lisa changed to a different bowling alley I remembered my brother trying to teach me to bowl without toppling over and throwing my arm cross alley. This story brought back some great memories. But, some lessons are difficult to learn and this time when Lisa proved herself to be a user and conniver his mother stepped in and thwarted Lisa’s scam. Others do not only learn by those who are challenged but these lessons of life too. You can never be too careful when it comes to lending money to a friend, especially when it appears that money is a primary reason for the friendship. With their Abbot and Costello routines and their many funny high jinks Yvonne, Stan her mother and her family learned that you could do anything if you want to and don’t ever give up. Everyone looks up to their parents and wants to emulate or follow in their footsteps. Stan loved his father and spending quality time with him and imitating some of his mannerisms and daily routines cemented their bond even more. You need to read the last chapter written by Yvonne’s mother and presented at West Georgia for everyone to hear. Yvonne’s mother is truly amazing and someone who did what most mother’s should do but might not have the wherewithal or the stamina to do: SHE WOULD NOT ACCEPT FAILURE AS AN OPTION! Stan is an example of what people must do in order to be happy. He accepted who he is and what his limitations and capabilities are. He would not blame the world for his problems and accepts people for who they are not bigoted or prejudice or hurtful to anyone. Stan: I have a nephew that was born deaf. No one knew this until he was about a year old. The doctors told his mother and father he would never stand, sit up, walk, and drive a car or more. Then, he entered Lexington School for the Deaf and his mother and father would not let this diagnosis hamper him. He is now the father of a beautiful little girl and a web designer for a major hotel chain and more. Never give up on who you are. Never think that just because a doctor says it that it is written in stone. Your influence on others will remain in their hearts and mind just by reading your story now and forever. Educators need to follow the example of those who cared enough about Stan and her caring enough to help him learn to read, speak and more. For those educators who teach Special Education you need to remember that kids learn at their own pace and as with Stan they will often surprise you and overcome insurmountable odds. Never give up and never say never. You need to read this book and give it to every educator, doctor and parent to know that knowledge if powerful and love and family can help you through anything. Stan’s life is message to all of us that everyone can succeed no matter what if they want to. With a childhood spent traveling the globe, it’s no wonder that writer Elysabeth Eldering has a passion for geography! Growing up in a military family, Elysabeth lived in Japan, Germany, New York, Kentucky, and Texas before her family finally settled in a small town in South Carolina. Elysabeth, who lives in Honea Path, SC, has put her globetrotting skills to work in the Junior Geography Detective Squad’s 50-state, mystery, trivia series. Published by 4RV Publishing, the series made its debut in summer 2008 with State of Wilderness. State of Quarries made it’s way into the hands of followers of the series next. The Junior Geography Detective Squad will continue to put their mystery-solving talents to work in each state to challenge young readers on their knowledge of the nation’s geography and interesting facts. State of Reservations is next in the line-up. The mother of three – an adult son and a teen-aged son and daughter – juggles a schedule that includes volunteering with her children’s school activities, including the marching band and band competitions. An avid pet lover, Elysabeth is caretaker for the family’s two dogs. She’s active in the Greenville chapters of Sisters in Crime and the SC Writers Workshop and has judged entries for the Derringers Awards competition. Elysabeth entered her first writing contest on a dare from a friend. Since then, the prize-winning writer has received awards from Armchair Interviews and Echelon Press. Her most recent story, “Bride and Seek,” was published in the SC Writers Workshop anthology The Petigru Review and is available on http://www.amazon.com. She has an article on editing and self publishing, also with Armchair Interviews. SYNOPSIS: If you like Jeopardy and trying to guess the answers with the contestants, you will enjoy the JGDS, 50-state, mystery, trivia series where the reader is encouraged to guess the state described by the handheld game’s clues. Can you guess the state before the characters do? Each state is a new adventure, so pick up a copy of the books today and find out where the adventure takes you next. 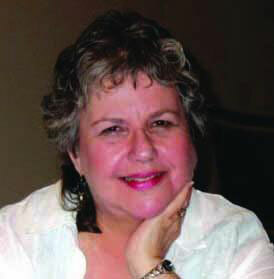 Goldie Alexander writes books, short stories and articles for adults and children of all ages. There’s lots to explore in here. Take a look at my books, or find out what inspired some of my stories. There’s also something about me, my crime page for adult readers, my latest books, Teachers’ Notes, essays, reviews, radio talks and my FAQs. Why not invite me to your club or school as a visiting speaker. You can contact me on Skype. All you do is email me with your request. I acknowledge you and then everyone can talk. I also sell some of my books online. Who is setting fire to the old cypress hedges? Based on actual crimes committed by youngsters, this is the first of a series featuring Anna and Zach, Private Eyes (A~Z PIs). Set in the summer and autumn of 1938, Body and Soul: Lilbet’s Romance, a Young Adult novel is eighteen-year-old crippled Lilbet Mark’s account of the love affair between Felix Goldfarb, a recent migrant to Melbourne, and Lilbet’s twin-sister Ella. Lilbet’s father Simon Marks, her eldest sister Julie, and all their friends are entranced by Felix Goldfarb. Never before have they come across such a winning blend of worldly sophistication and boyish charm. Only clever Lilbet suspects Felix might not be all that he seems. Also, it is imperative for her physical and psychological wellbeing that Ella remains in Adeline Terrace. Adeline Terrace in Melbourne during 1938 is brought to vivid life in Body and Soul. The Marks young women, Julie, Ella and Lilbet’s lives pivot around domestic tasks in a motherless household with their dour father. But their existence is not drudgery, and the domestic is celebrated in the fascinating book. Julie is a marvellous cook, and the aromas of her meals rise off the page. The ambivilence Lilbet feels toward her family, her own mixed feelings toward Felix and the double-edged sword of love and envy challenge Lilbet as she struggles to mature despite her disability and the oppressive care of her older sister, Julie. Interspersed throughout her story are Lilbet’s newspaper cuttings which provide the historical and social context, from the Spanish Civil War and the threat of much wider war, to McFarlane Burnet and the influenza virus, to Polio treatment, local theatre, holiday recipes, and much, much more in the richly detailed, evocative novel. – Pam Macintyre. Junior/Environmental, Australian. Hardcover rrp $24.95. Goldie Alexander has written over sixty books for readers of all ages. Michele Gaudion’s focus now, is as Concept Visualiser. This role is evident in her exceptional interpretation of the text. The pictures are balanced between black and white charcoal and full colour glossy illustrations with exquisite borders. The story progresses frame by frame, adding visual beauty to the significant yet simple text. Sisters Hannah and Zoe live close to a Reserve that is home to wild things, bushland, and nature in general. They find a wounded duck by the lake’s edge. They have been taught to respect and never interfere with living things in that area. But this is an exception. The duck needs medical attention. The Vet tells them that Antonia the duck will recover but will always limp. The girls release it into the wild again after it has recovered enough to look after itself, despite that it has attached itself to Zoe, whom she believes is its mother. Zoe has been taught that wild things need to be free. A new concern is born for the community. A Shopping Centre is planned for the area that houses the Reserve. Where will the children play? Where will the elderly stroll and sit and enjoy the environment if all this goes ahead? The whole community unites to protest against the destruction of their natural surroundings. Photographs are taken and published beside articles in the paper. This draws attention to the imminent disaster. Everyone joins the protest. They come dressed as birds and animals. They have a new way to express their concerns. A collection of eleven short stories of particular interest to girl readers aged 9–13, with accompanying notes for teachers.